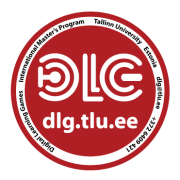 The Digital Learning Games international master curriculum is providing a one­-week course in designing serious games. Serious games are games that are designed for a serious purpose and not only for entertainment. This serious purpose can be related with the defense, education, scientific exploration, health care, emergency management, city planning, engineering, religion, politics or something similar. Digital Learning Games is multidisciplinary curriculum that combines game design, interaction design and instructional design. It’s objective is to bring together experts with different background (art, ICT, pedagogy, psychology) and design and develop learning games in heterogeneous teams. During the short summer course participants will get the essence of designing serious and learning games. Students with different background from all over the world are forming teams and design new serious games from idea to working prototype. For prototyping the environment that does not require programming skills is used. The course brings together people with different backgrounds who can learn a lot not only from the teacher, but also from each other. You will find out how to make learning more fun for yourself and others. Digital Learning Games master’s programme teachers and students. Mikhail Fiadotau is a lecturer in the School of Digital Technologies at Tallinn University, where he primarily teaches in the Digital Learning Games MSc programme. His research covers such areas as game production, serious games and game-based learning, games education, and the cultural heterogeneity of gaming communities and practices. Mikhail has also been a participant in European research and development projects focusing on serious games and gamification. Classes take place from Monday to Friday, please see also the full programme. The course is for teachers, educational technologists, designers, developers, story writers, graphical designers and all others who are interested in designing serious games. Our goal is to form heterogeneous teams of students with different backgrounds. Upon full participation and completion of course work students will be awarded 2 ECTS points and a certificate of completion. Accommodation, cultural programme and meals are not included in the the price.